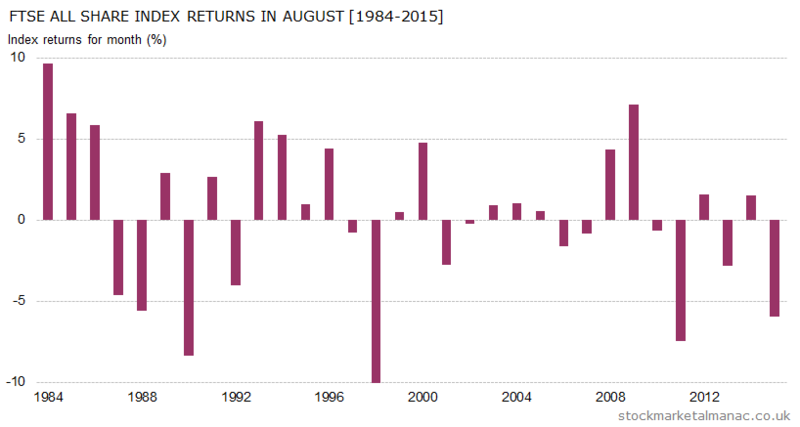 Tomorrow will be the first trading day (FTD) of August. 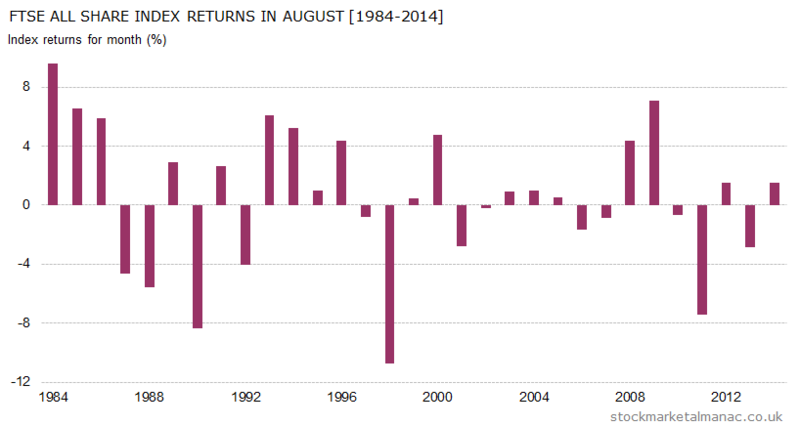 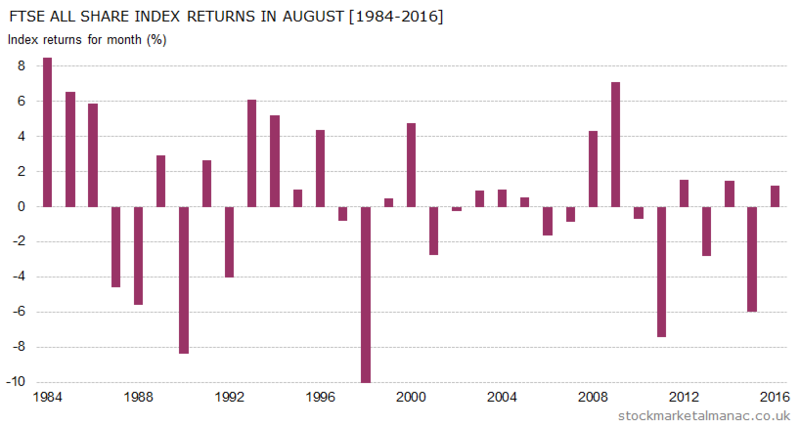 Since 1984, the FTSE 100 Index has an average return of 0.06% on the August FTD, which makes it the ninth strongest FTD of the year. 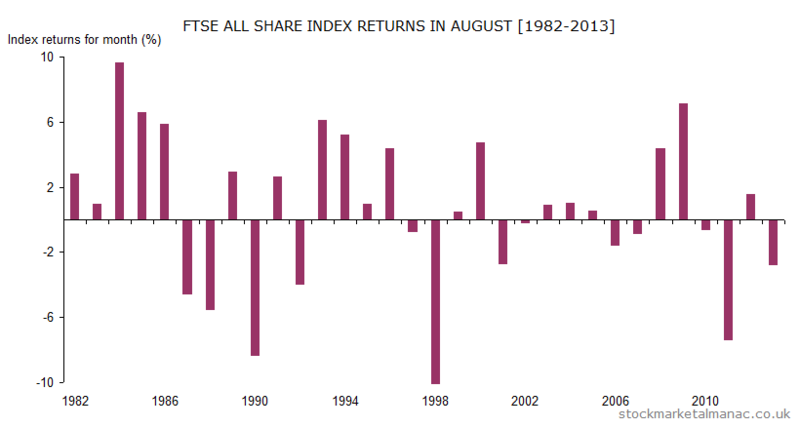 The following chart plots the average performance of the FTSE 100 Index during September since 1984 (more info on this type of chart). 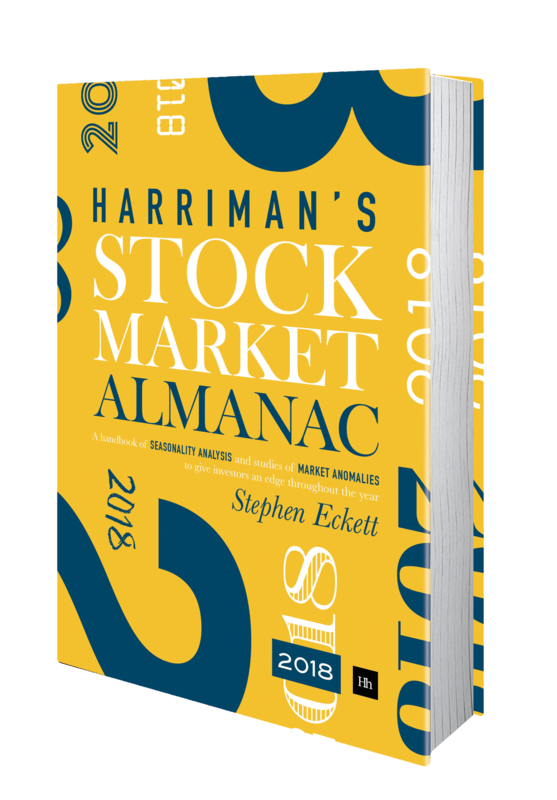 As can be seen, historically the market has declined steadily throughout September, somewhat leveling out in the final week. 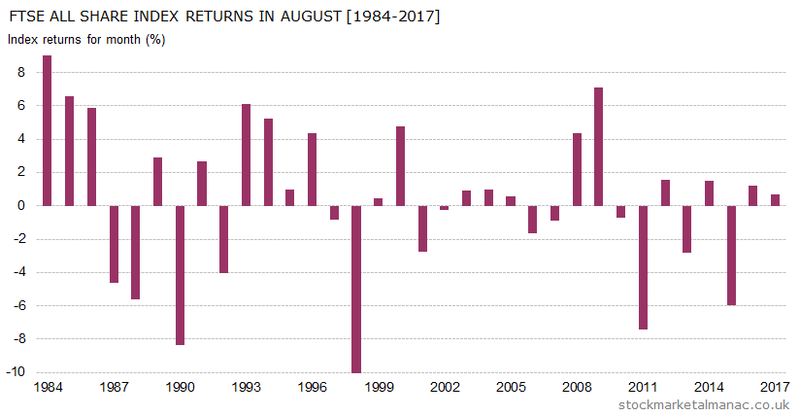 The average chart for August was posted a month ago here. 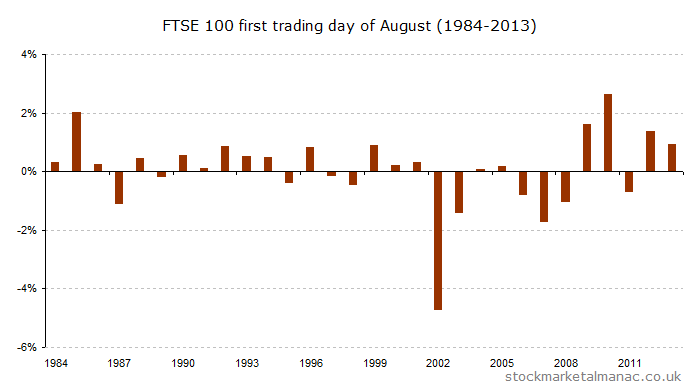 The following reproduces that chart and overlays the actual FTSE 100 for August 2013.